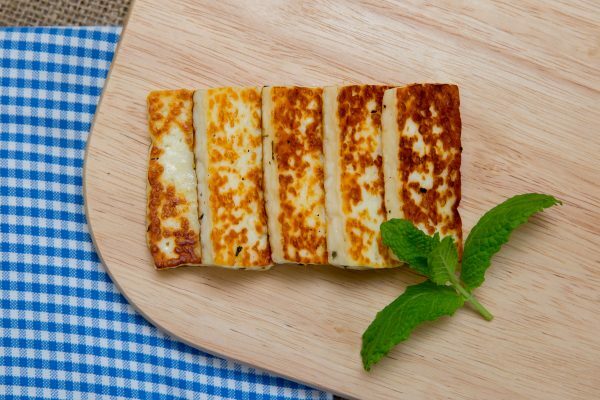 Halloumi is a salty brined “squeaky” cheese, originally from the Mediterranean and traditionally made from sheep milk. Once dry fried or grilled it takes on a completely different texture – we call it “the vegetarians alternative to the rasher”. 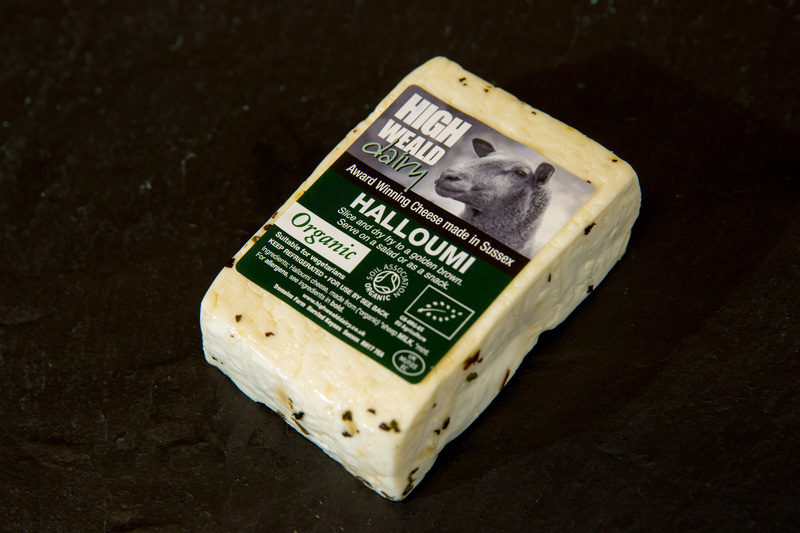 We make two varieties, this one which is made with 100% Sheep milk halloumi and a blended Halloumi using cow and sheep milk. Try it toasted on a summer salad or into a stir fry, addimg mushrooms, tomatoes, oregano, peppers and serving on a bed of rice, pasta or cous-cous. Typical values per 100g: Energy - 1280 Kj/294 Kcal; Fat - 26.8g, of which saturates - 13.6g; Carbohydrates - 1.8g, of which sugars - 0.4g; Protein - 22g; Salt - 3.5g.